Did you need a portable display system that’s compact yet able to display a big message? 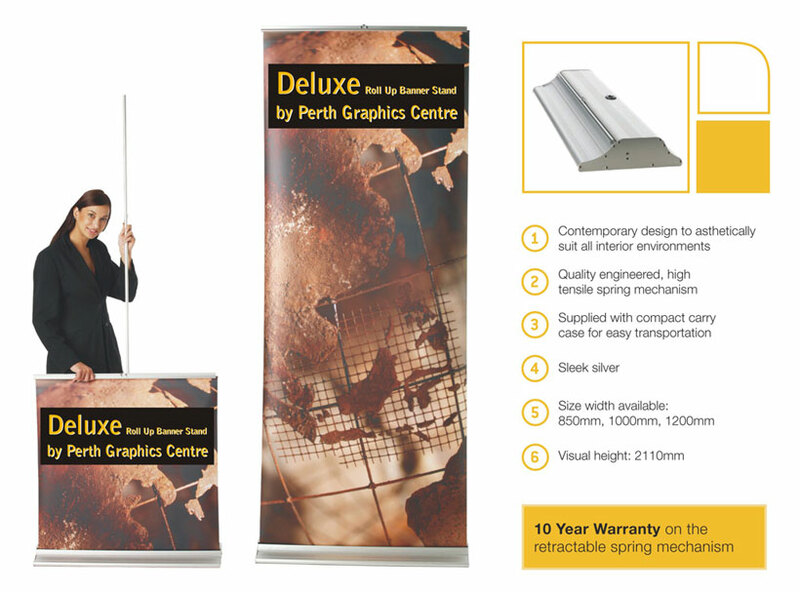 Then look no further than the Roll Up Banner range from Perth Graphics Centre. WA’s best signage company brings you the best options for getting your name out there. There are several models to choose from, from the Economy, right through the the Deluxe model. There’s also plenty of options for gloss and matt finishes, meaning you can get the look you’re after. Don’t despair with artwork – we can put that together, too. The Roll Up Banner, also known as a Pull Up Banner, is made from a heavy duty polyester, which is non-curl. It can be rolled up and reused thousands of times over. Call us on (08) 9249 5599 for more details and prices.